In international human rights law, an enforced disappearance occurs when a person is secretly abducted, followed by a refusal to acknowledge the person’s fate and whereabouts. Enforced disappearance is widespread in Kagame’s Rwanda targeting all segments of Rwandan society. Victims are abducted, illegally detained, and even killed, as I have demonstrated in my book, Kagame’s Killing Fields. Political assassinations in foreign capitals in part of horrendous history of Kagame’s Rwanda. This is the situation in which we find Diane Shima Rwigara, her mother, sister and two brothers. It is six days since the family became victims of enforced disappearance. And as we all know, Shima Rwigara courageously did the unthinkable – she took Kagame to task for his atrocious human rights record. She wanted to run for the Rwandan presidency to restore human rights and civil liberties. She was blocked from doing so. That is why Diane is now a victim of enforced disappearance – no question about that. 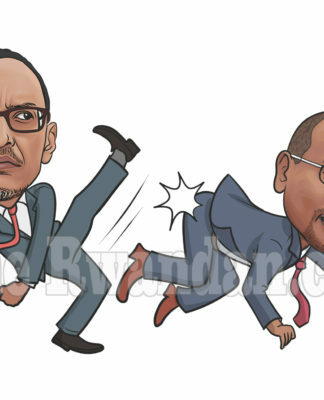 Kagame has other motives beyond punishing Diane, however. Enforced disappearance works at two levels in Kagame’s Republic. First, enforced disappearance silences opponents and critics such as Diane. Second, enforced disappearance creates uncertainty and fear in the wider Rwandan population. We must use the means we have – our pens to inform the world of what is going on inside Rwanda. We must remind governments that support Kagame that enforced disappearances are gross violation of fundamental human rights. We must remind the world that Kagame’s widespread and systematic enforced disappearance directed at the civilian population, qualifies as a crime against humanity. We must remind Kagame that on December 20, 2006, the United Nations adopted “the International Convention for the Protection of All Persons from Enforced Disappearance.” Let him know, therefore, that he is head of pariah state – steadily descending into the company of Idi Amin Dada, Jean-Bédel Bokassa, and other despicable dictators that Africa would rather erase from its memory.